Real men rock purses and wear pink! 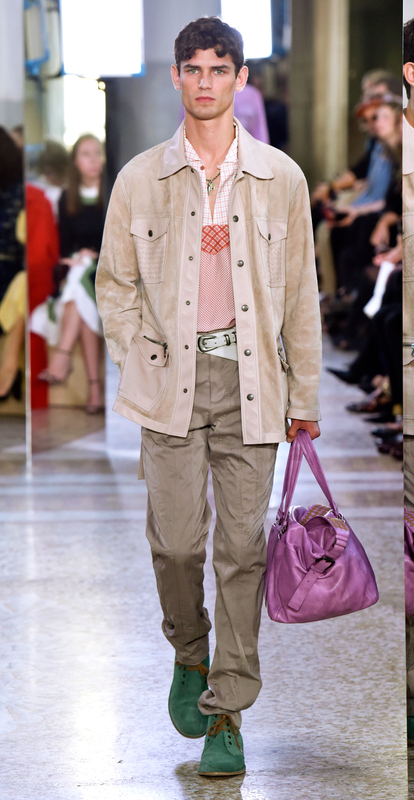 When male models such as Presley Gerber hit the runway during Bottega Veneta’s Spring 2018 Ready-to-Wear show on Saturday, September 23, some of them were holding a surprising accessory: brightly colored monogrammed clutches and purses. 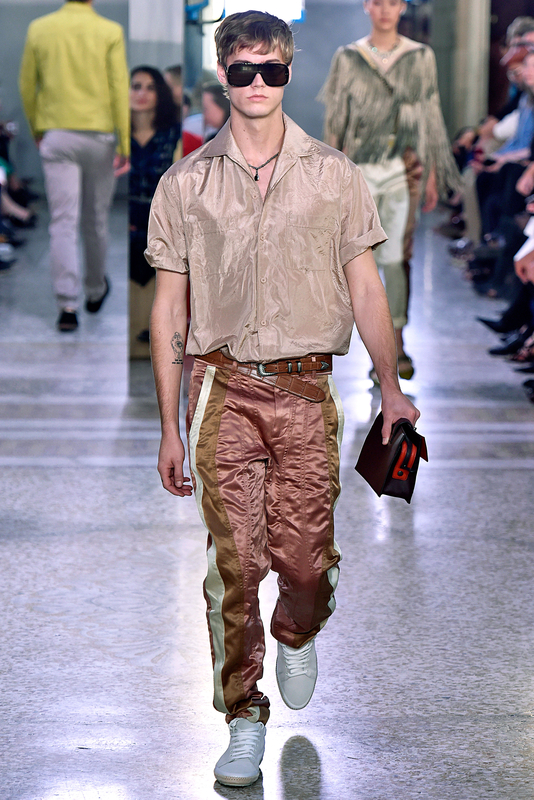 Tomas Meier’s show for the Italian luxury brand during Milan Fashion Week also featured some of the men sporting clothing pieces in millennial pink, the current hot hue of the moment for women. Celebrities spotted front row for the show included Kris Jenner and Lauren Hutton, who hit the catwalk for the brand last year. He also shared that the goal of his latest collection was to inspire happiness. “Because things are a little tough for all of us, so we need something in the morning to get us going,” the designer said. We’d totally steal that purple bag from our boyfriend or best guy friend! 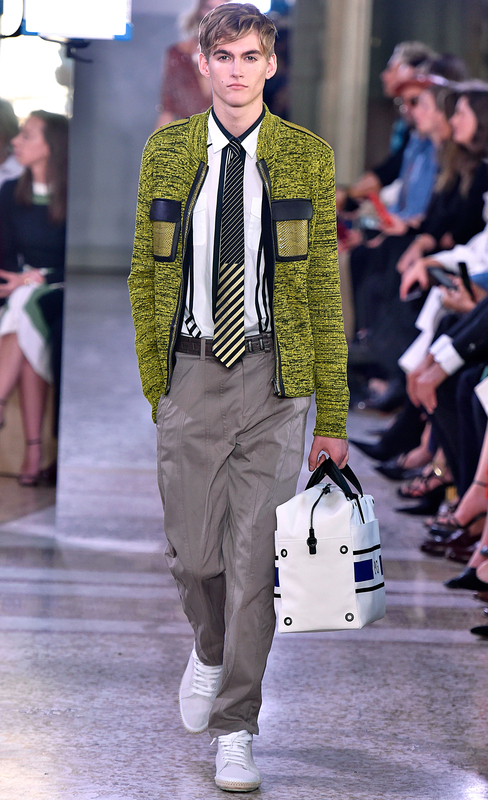 Some of Hollywood’s leading men such as John Mayer, Ryan Reynolds, Terrence Howard and Pharrell Williams have all been spotted rocking a murse before, so maybe they’ll be buying one of these fab Bottega Veneta bags.